About every week Rene call’s and talks to his mama for at least and hour and catches up on what’s going on with his parents and brother, and I always ask about when they’re going to make the trip out to come see us. And to be honest, it’s because I miss my mother-in-laws cooking SO MUCH, I love, love, love Mexican food, and since she was born and raised in Mexico, she can cook like nobodies business. The only problem is, her cookbook is her brain, and, well I can’t take that, so we’ve (Rene and I) devised a plan, when she comes out, we’ll go to the Hispanic supermarket, and take her with and buy a crap ton of food, and she’ll cook, I’ll make sure everything gets measures, take pictures, and Rene will help with the translation. I’ve told Rene too, once we get this done I’m going to make all her recipes into a cookbook….A REAL, TRADITIONAL MEXICAN FOOD COOKBOOK!! 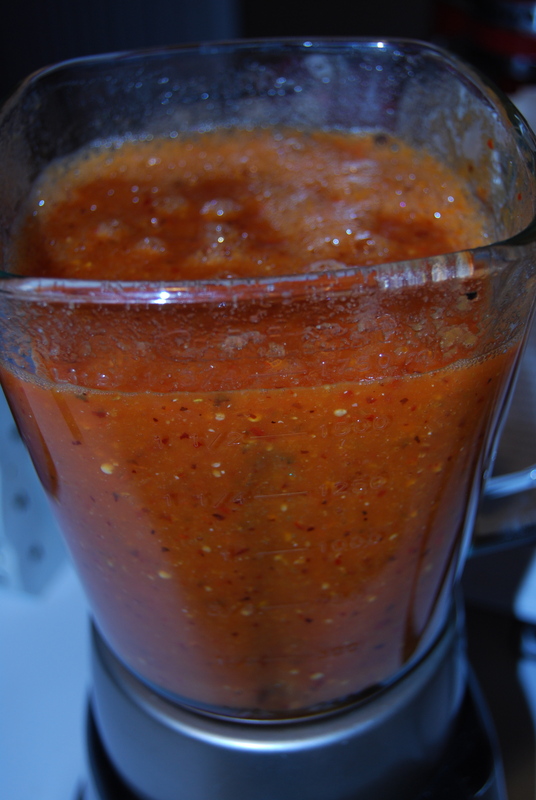 We got her recipe the other night for her salsa that I LOOOOOVE, it’s so good, and hot, and I love it!!! 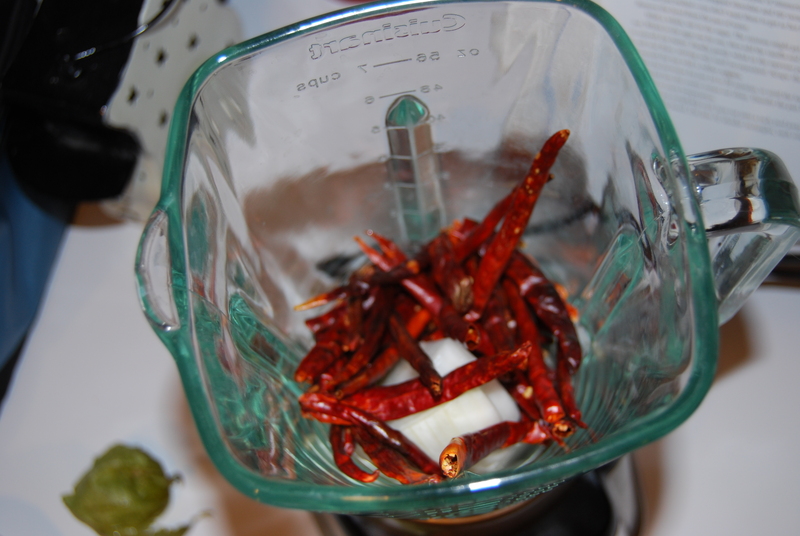 ~Cut the steams off the chile’s, don’t discard the seeds unless you don’t like your salsa hot (for a milder salsa cut down the amount of chile’s used). Smash the garlic with knife to remove the skin. 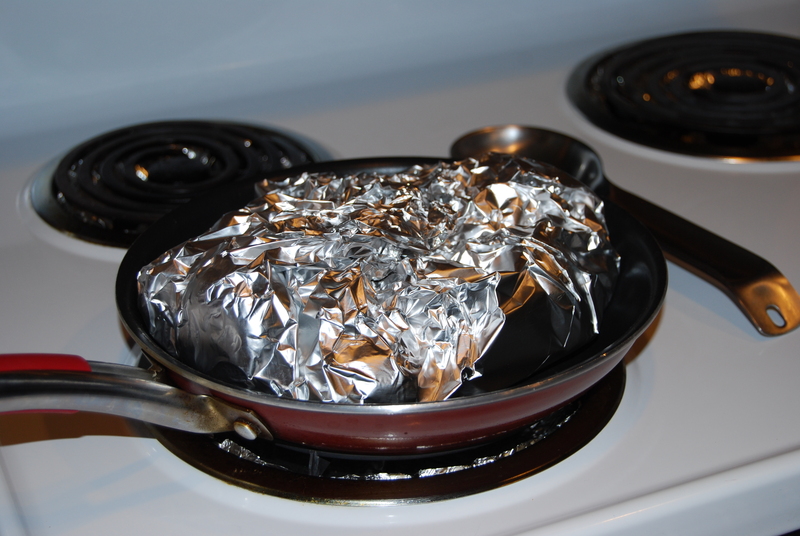 ~Take a large enough piece of foil for your tomatoes, tomatillos, and garlic and wrap them up, place in the fry pan, on medium heat and let roast for 30 minutes. 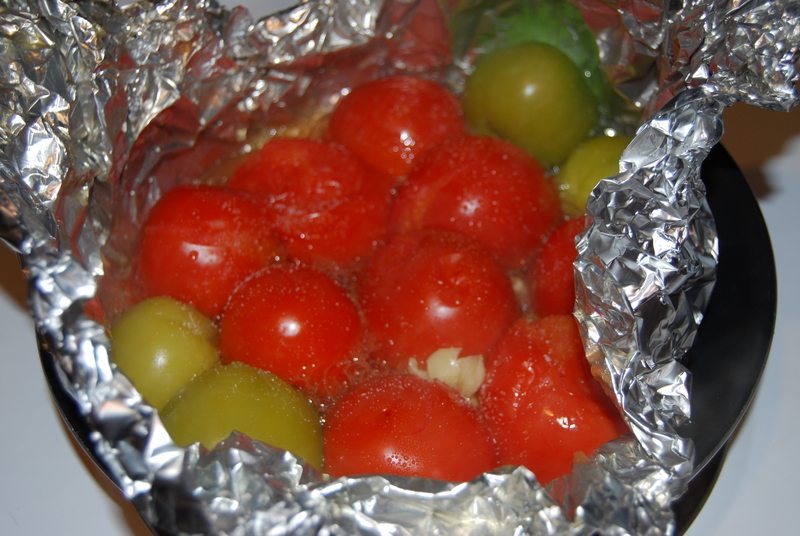 ~About half way through open up foil and sprinkle the tomatoes and tomatillos with salt, cover back up. 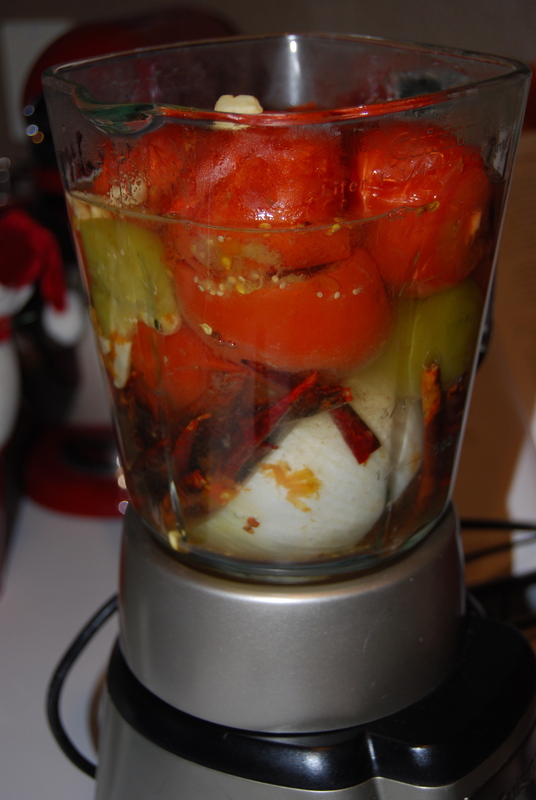 ~Once them tomato, tomatillo, garlic and all the liquid into the blender. 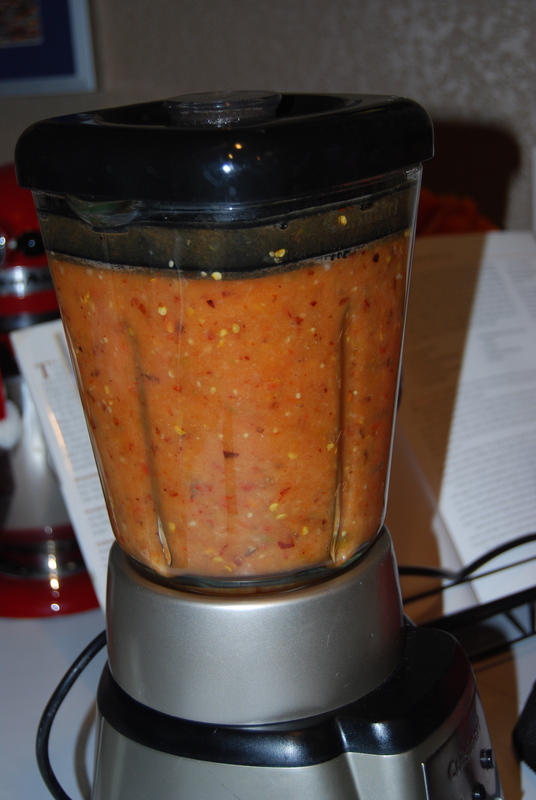 ~Fill your blender half way up with water, and blend on high until fully blended. I eat salsa on pretty much everything (not cereal though), it give my food a nice kick. Categories: Mexican Food, Sauce / Salsa | Tags: mexican, Salsa | Permalink.